If your home network lacks a NAS box, you’re missing out on two counts: First, network-attached storage (NAS) is the easiest way to back up connected PCs. 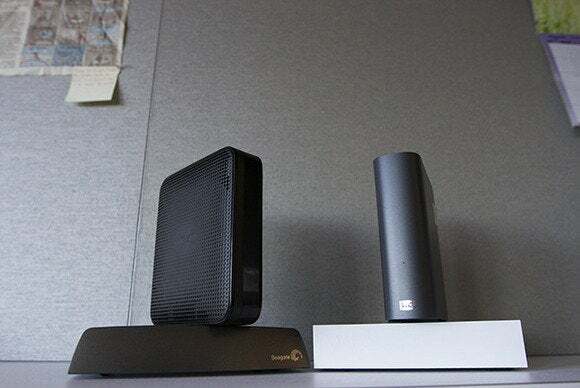 Second—and more enjoyably—a NAS box can store your media libraries and stream files to any PC or networked audio device in your house (examples include devices in the AirPlay, NuVo, and Sonos product ecosystems). You can also stream your favorite movies and digital photos to your smart TV (or to your dumb TV, if you have a streaming box or home-theater PC connected to it). Better NAS boxes make remote access possible, so you can access your stuff from—and stream your media to—any device anywhere you have Internet access. You needn’t pay big bucks for an expensive multibay model designed for small businesses, either. Would you buy a Lamborghini strictly for driving to the corner store? Barring a spectacularly successful PowerBall encounter—probably not. 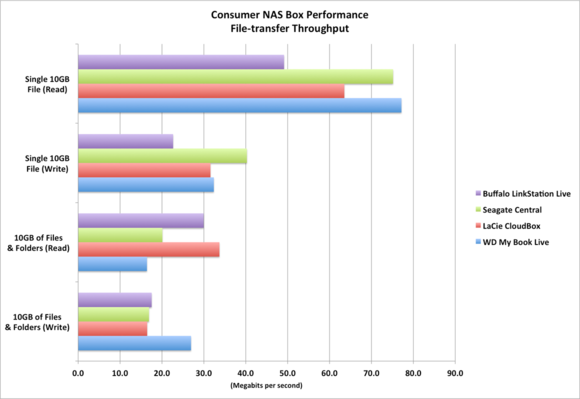 Follow the same principle when shopping for a NAS box. One caveat: Though single-bay NAS boxes are cost effective, they provide no data redundancy. If you store anything on them that you can’t afford to lose or can’t re-create, back them up. 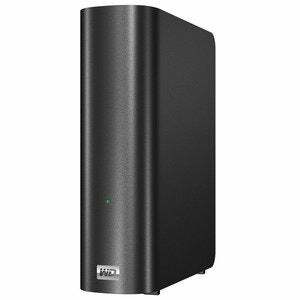 With frugality and practicality in in mind, we put out a call for reasonably priced ($200 or less) NAS boxes that provide at least 1TB of storage, support remote access via the Web (ideally with mobile app support), and can act as both iTunes and DLNA-certified media servers. Four vendors stepped up to the plate: Buffalo Technology with its LinkStation Live; LaCie with its CloudBox; Seagate with its Central; and Western Digital with its My Book Live. The hardware configurations proved to be surprisingly similar: Each box uses a 3.5-inch mechanical hard drive, a gigabit ethernet interface, and an external AC adapter; and each is about the size of a medium-format trade paperback. However, each manufacturer added widely different features and amenities on top of the hardware. You'll find the nitty-gritty details at the end of this article. Buffalo’s LinkStation Live ($140) is a capable media streamer with the strongest feature set of the four boxes we looked at. Unfortunately, it fell off the pace in copying files, its UI was rather slow to respond, and configuring many of its features—including remote access—proved to be less than intuitive. 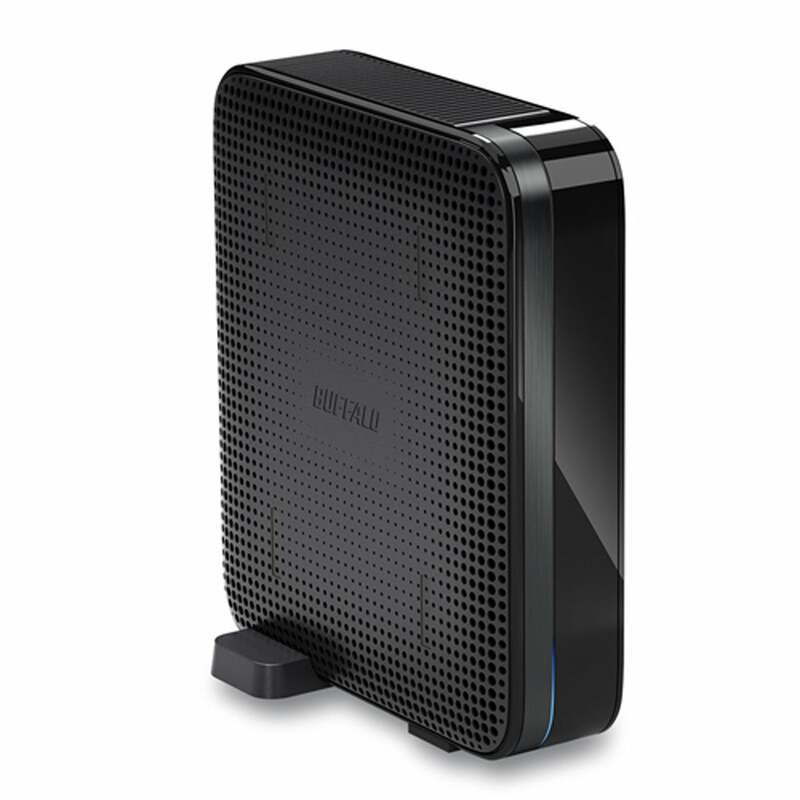 Buffalo Technology's LinkStation Live is packed with features, but it's not the fastest performer. The 2TB LinkStation Live delivers shared folders, user accounts, workgroup and domain support, AFP and FTP file sharing, and—of course—iTunes and DLNA-certified media servers. You also get BitTorrent downloading, integrated Eye-Fi service (so you can copy photos from your digital camera to your networked storage using Wi-Fi), Flickr integration (so you can automatically upload photos stored in a designated folder on the LinkStation to your Flickr account), NovaBackup (for backing up PCs to the box), an on-board routine to back up the LinkStation’s files to other locations, and remote access via BuffaloNas.com (where you can manage and share files via the Internet). The LinkStation Live suffers from a sluggish user interface. Buffalo’s box was the second fastest in our roundup at handling a 10GB mix of files and folders, writing them at 17.5 MBps and reading them at 29.9 MBps, but the LinkStation Live’s performance with our large 10GB file fell well below the curve: It wrote that file at 22.7 MBps and read it at 49.1 MBps. On both operations, that’s a good 10 MBps slower than the performance turned in by next slowest drive. All was well on the streaming front: The unit spooled our 40-mbps, 1080p files to three PCs with nary a hitch. It was also the only box in the roundup that transcoded MKV files on the fly, so they would play in Windows Media Player via DLNA. It didn’t list playable WAV files in iTunes, but otherwise that server was up to snuff. You should have no qualms about using this unit to stream movies around the house. In setup and configuration, the LinkStation Live was the least user-friendly box we examined. On the other hand, it lacks nothing in features and it streams very nicely. Users with the technical chops, or the patience to learn some new skills, could swing with the Buffalo product. The LaCie CloudBox is a shiny white, Neil Poulton-designed rectangular a NAS box that looks nice alongside iMacs and the like. It is extremely white, however, so it will stand out against black A/V equipment. The 2TB CloudBox can be tricky to configure for remote access, but it boasts top-notch features, good all-around performance, and carries a moderate price of $150. LaCie definitely had the prettiest NAS box in this roundup. The CloudBox runs the full version of LaCie’s Dashboard operating system, which the company has gradually crafted into a feature-rich offering. In addition to expected features such as user and shared folders, FTP, and workgroup, you’ll find a BitTorrent client and a full browser-based file manager. The CloudBox ties with Western Digital’s My Book Live for best backup features in this foursome, starting with a version of Genie Timeline for the PC, Intego for the Mac, and box-to-box backup via rsync (so you can back up the contents of the NAS box itself). The CloudBox performed well in our tests. Both the DLNA and iTunes servers functioned perfectly, and the unit effortlessly streamed our 40-mbps video to three PCs simultaneously. File-transfer performance was very good for a low-priced box, and the CloudBox took first place on the task of reading our 10GB mix of files and folders, with a speed of 33.7 MBps. It wrote those files at 16.5 MBps, and it wrote and read our single 10GB file at 31.6 MBps and 63.5 MBps, respectively. LaCie's Dashboard operating system is rich in features. LaCie provides dedicated remote-access apps for iOS and Android devices, but not for Windows Phone 7 or 8. The app isn’t as attractive as Seagate’s handsome Dashboard OS, but it does the job. For Windows Phones, you can use a third-party DLNA- or iTunes-compatible client such as cPlayer (for Windows Phone 7 and 8). LaCie is unique among the four manufacturers represented here in offering a free 10GB/one-year subscription to its own Wuala online storage service. Add that to the BitTorrent client, plus good performance and looks, and you have an all-around attractive deal in a household NAS box. The Seagate Central is the big easy of NAS boxes. All you have to do to to set it up for remote access is to surf to the unit’s configuration page; enter your name, email address, and password; and then respond to an email message that links to a create-an-account page. Your name becomes your local network login, your email address is your remote login name, and your password works for both. It may take 30 minutes or so for everything to propagate, but once it’s done, it’s done. The Seagate Central is nearly silent, thanks to its passive cooling system. You can use the included Dashboard software to open the aforementioned configuration page (Dashboard also takes care of PC backups), or you can manually surf to the unit’s URL. Seagate automatically maps the Central’s public folder to drive Z in Windows Explorer, which displays the URL. Remote access is via Seagate’s SeagateMedia app for iOS, Android, and Kindle, or a Tappin-powered website where you can play, manage, and share your files. Thanks to its fine mesh lid and perforated base, the Central sheds heat without needing a fan. The unit’s near-silent convection cooling, plus its quiet drive, means that you can plop the Central next to your home-theater setup without adding appreciable noise. On the other hand, the Central's decidedly retro resemblance to an older cable or DSL modem may not be welcome in your living room. Priced at $170, the 2TB Central is the only unit in this roundup that comes with a USB port. The port is for storage only, but any drive you attach will appear on your network as a separate shared folder, so you can copy files to it as you would to any other network resource. The Central is an always-on device with no power button; but as is true of the other boxes’ drives, its drive spins down when not in use, to save power. Seagate developed a simple and easy user interface for the Central. Basic features include device setup, user accounts, and enabling or disabling remote access and the multimedia servers. One feature allows you to back up on the Central any pictures posted to your Facebook account—but that’s it for frills. Though the Dashboard software backs up PCs to the box, it doesn’t provide any means to back up the box itself. That’s a major omission for a single-bay NAS box, given its lack of data redundancy. Seagate designed a very elegant user interface for its Central. The Central performed well in our tests, but it displayed some files in iTunes that wouldn’t play (tracks encoded in Ogg and FLAC), and it failed to display some WAV files that iTunes is capable of playing. To its credit, the box streamed our large 40-mbps video file simultaneously to three PCs, without a hiccup; and it was the only entrant in the group that served up Ogg Theora video. File-transfer performance was very good for a low-priced NAS box, registering 16.9 MBps while writing our 10GB mix of files and folders, and 20.1 MBps while reading them. It did even better with our large 10GB file, writing it at a roundup-best speed of 40.3 MBps and reading it at 75.2 MBps. 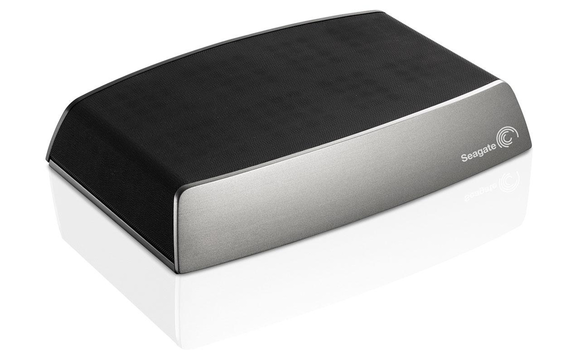 Easy setup and quiet streaming make the Seagate Central a particularly good fit for A/V systems. On the other hand, we wish that it had an on-board self-backup capability, BitTorrent support, and the ability to interface to more social sites than just Facebook. WD’s My Book Live isn’t spectacular in any one particular area. But taken as a whole, it achieves the best balance of performance, features, and price ($140) in the roundup. It also delivers the easy remote access setup that the LaCie and Buffalo lack. Western Digital's My Book Live was our favorite consumer-oriented NAS box. The My Book Live, like other NAS boxes, can be accessed over a local network without any configuration—just plug it into your router. But WD has created useful shares (publicly shared folders) that make life easier. There’s a public share, with music, picture, and video subfolders; and there are shares dedicated to backups (including Time Machine Backup for Mac users and WD’s own bundled SmartWare). For backing up the box itself, WD provides an on-board routine that creates “safepoints,” which are much like Windows Restore Points, but constitute a full backup. WD supports most video codecs—except for Ogg Theora—and the My Book Live’s streaming performance was smooth as silk. We did encounter a minor glitch with the WD’s iTunes server that created listings for unplayable WMA and WMA Lossless files. On the other hand, this was the only drive of the four that transcoded FLAC files for playback on a client PC running iTunes. If you’re an audiophile, you probably have a player than can support those files natively. Other people in your household might not be as picky, or they might prefer the familiarity of Apple’s player. Western Digital has a terrific Web portal for remote streaming. The My Book Live performed extremely well overall, though it struggled more than the other three drives when reading our 10GB mix of files and folders, delivering throughput of just 16.4 MBps. Conversely, it was considerably faster than any other box when writing those same files, clocking in at 26.9 MBps. Go figure. 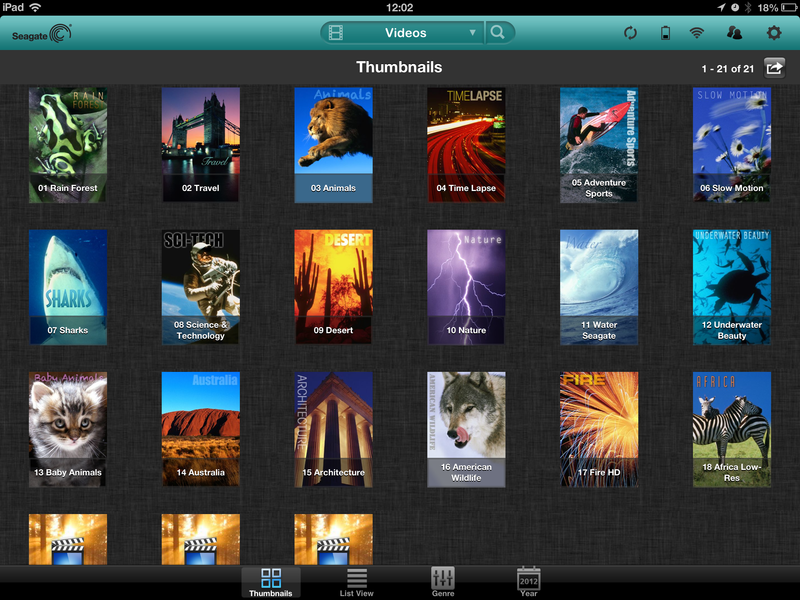 And the My Book Live excelled with the single 10GB file, writing it at 32.4 MBps and reading it at 77.1 MBps. WD has the best app coverage of any of the four drives we tested, with versions of its WD2go media player for iOS, Android, and even Windows Phone 7. You can also establish remote access using a browser, via WD’s slickly-rendered, Java-based www.wd2go.com. Western Digital wins this competition with a combination of great performance and a solid set of features. The LinkStation Live isn't a rocket when copying files, but media streaming is fine, and the software feature set is large, if not particular intuitive. Attractively designed, capable, and feature-rich, the LaCie CloudBox is a cut above the generic NAS box. But it’s not as easy to configure for remote access as some of the competition. Super simple setup and remote access, top-notch streaming, and uber-quiet operation make the Seagate Central a suitable media streamer for your AV setup. With great streaming, easy setup, and a solid feature set, the WD My Book Live is a top product in the one-bay streamer space.